"Her scream echoes in my memory. I know what happened. Whether anyone believes me or not, I know. "Sean Suh is done with killing. After serving three years in a psychiatric prison, he's determined to stay away from temptation. But he can't resist Annabelle--beautiful, confident, incandescent Annabelle--who alone can see past the monster to the man inside. The man he's desperately trying to be.Then Annabelle disappears.Sean is sure she's been kidnapped--he witnessed her being taken firsthand--but the police are convinced that Sean himself is at the center of this crime. And he must admit, his illness has caused him to "lose time" before. What if there's more to what happened than he's able to remember?Though haunted by the fear that it might be better for Annabelle if he never finds her, Sean can't bring himself to let go of her without a fight. To save her, he'll have to do more than confront his own demons... 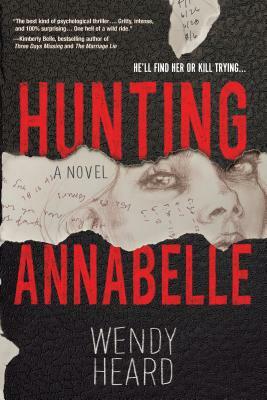 He'll have to let them loose.A chilling, deeply suspenseful page-turner set in the 1980s, Hunting Annabelle is a stunning debut that will leave you breathless to the very end.